WASHINGTON (AP) — Republicans rode the tea party wave to power eight years ago on a message of fiscal responsibility and attacking budget deficits, and kept at it during President Barack Obama’s two terms. That was then. Republican leaders early Friday rounded up support for a bipartisan budget bill putting the government on track for annual deficits topping $1 trillion, a gap last seen toward the end of Obama’s first term. President Donald Trump tweeted that he had signed the bill, ending a brief federal government shutdown that occurred as lawmakers took up the measure overnight. 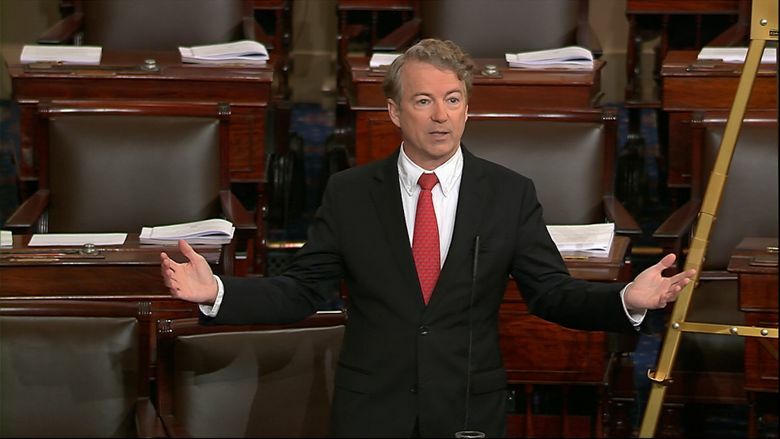 “I can’t in all good honesty, in all good faith just look the other way because my party is now complicit in the deficits,” said Sen. Rand Paul, the Kentucky Republican whose protest stalled the bill in the Senate Thursday night, causing the government to shut down again. Paul was joined in opposition by others in his party, including Sens. Mike Lee of Utah and Bob Corker of Tennessee. “It all comes down to one thing — economic growth. 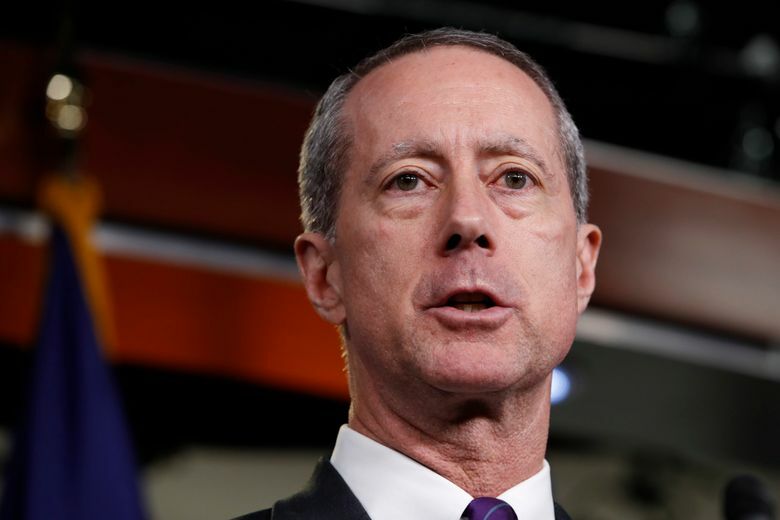 That’s where you take care of the debt and deficit,” said Rep. Dennis Ross, R-Fla.
“If you vote no, you’re voting against fixing the military,” said Rep. Mac Thornberry, R-Texas, chairman of the House Armed Services Committee. Other lawmakers cited the need to keep the government running and boost domestic spending on infrastructure and programs such as community health centers. The budget plan also was drawing support from Republicans representing states that would benefit from $89 billion in aid to speed recovery from last year’s hurricanes and wildfires. 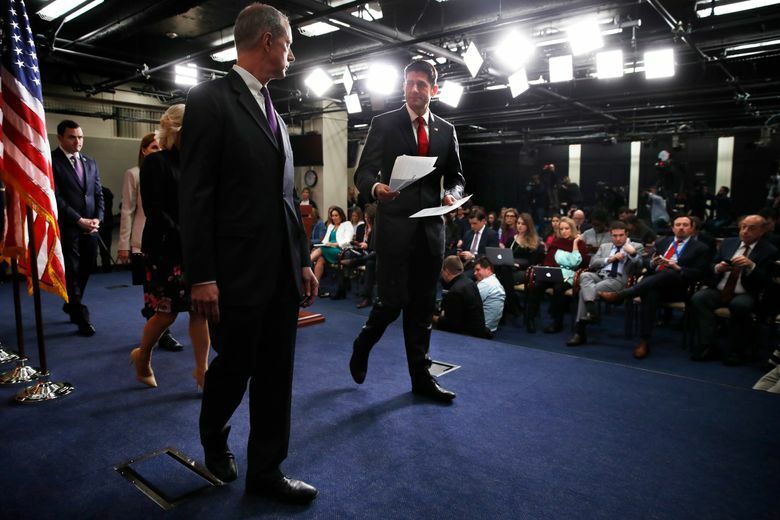 Still, some Republican lawmakers and conservative activists worried that the deal reinforces the notion that congressional Republicans are not delivering on their promises to slash spending and reduce the size of government. Jason Pye, vice president of legislative affairs at Freedom Works, a conservative group that helped launch the tea party movement, said Republicans are retreating on their deficit-reduction message. The House Freedom Caucus, a group of conservatives that grew out of the tea party, denounced the deal for growing the size of government. “The only folks who should be voting for this are the debt junkies, who love unsustainable spending bills,” said Rep. Mo Brooks, R-Ala., a freedom caucus member. A leader of the GOP’s fiscal conservatives, Rep. Mark Walker of North Carolina, said he understands the frustration.